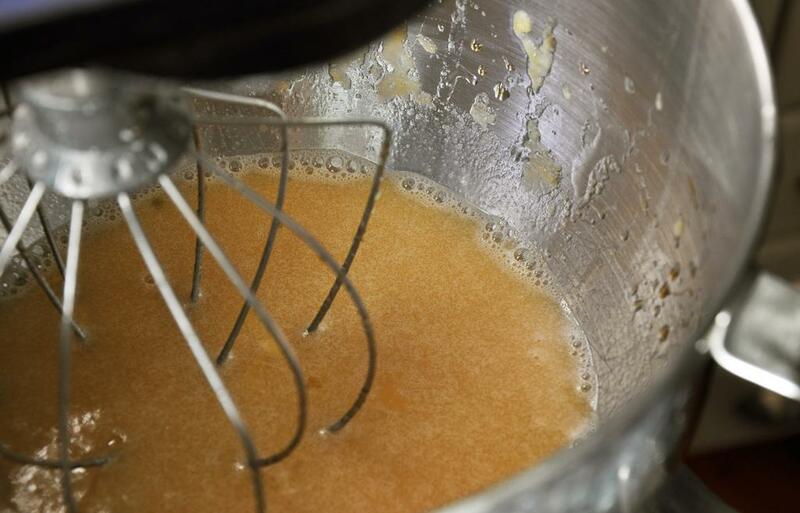 In a stand mixer or with hand mixer, beat on medium-high speed eggs, milk, maple syrup, sugar, oil and vanilla extract until well-combined. 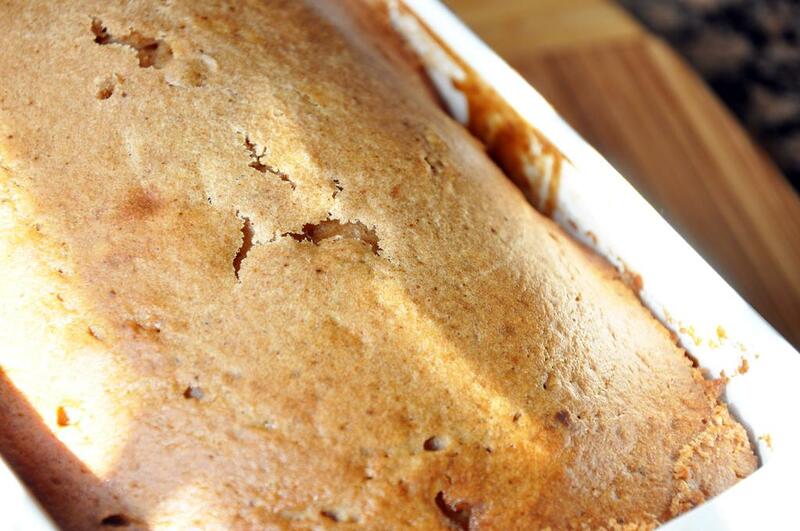 Scrap down the sides and then add pumpkin puree and mix until well-combined. 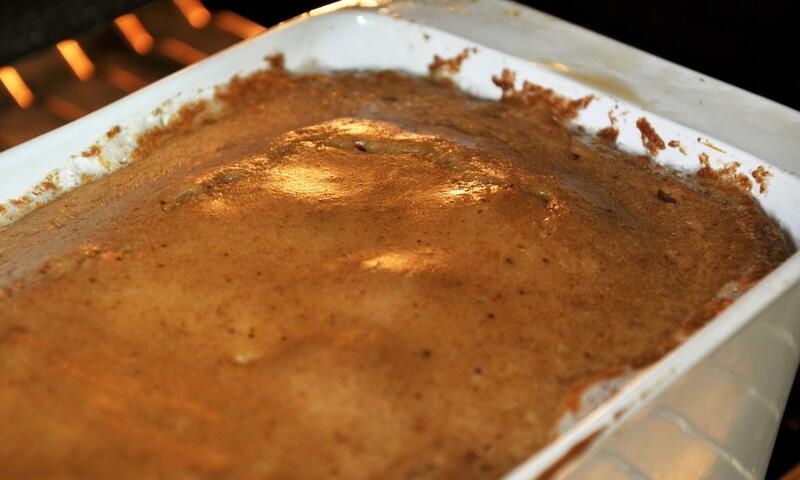 Then add dry ingredients: flour, baking powder, baking soda, cinnamon, allspice, cloves and salt. Scrap down the sides and mix until everything is well-incorporated. 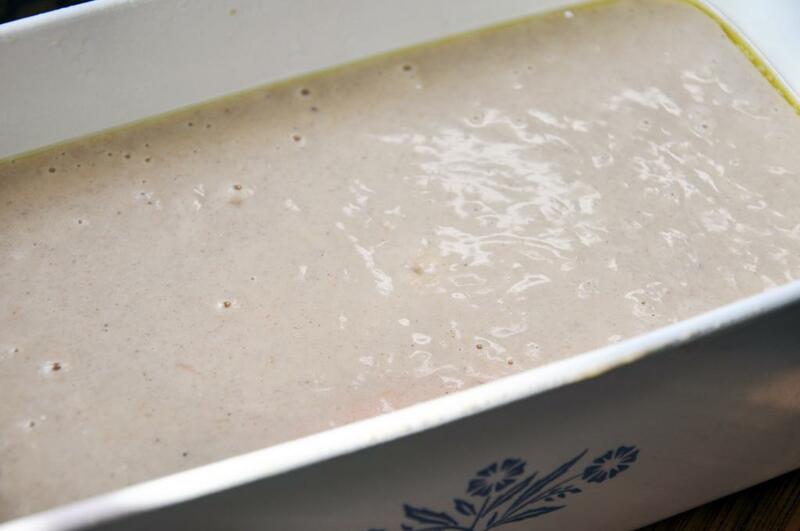 Spray a 9" loaf pan with cooking spray and then pour the batter in. Bake for 55-65 minutes in the oven until inserted skewer comes out clean. Remove from oven and let sit 5 minutes before turning out. Cut into 8 slices and eat warm or freeze individually for future use. Your recipes always look so amazing! And I am certainly in the same boat as you. 80 degrees in LA and I have a bread pudding in the oven. Sometimes baking is well worth it, right? I&#39;m sure this pumpkin bread would be. Enjoy!